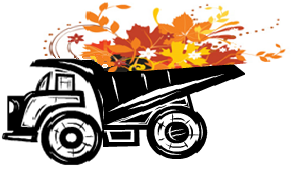 Our first of two leaf pickups will take place tomorrow, Tuesday, November 15, so if you want your leaves picked up please rake/blow then into the parking lot. ← Is this your car? Hi, thanks for this notice albeit a very short one, yet should we place our leaves in a compost bag or dump everything onto the street corner? My leaf vacuum collects and mulches which is what I use to clean up the clutter. It is very easy for me to place in a bag and place on the corner but I can also dump it if that is what we should do. Please advise. Hi Ryan, sorry for the short notice but our contractor just notified us this morning. As stated above, you can rake/blow your leaves into the parking lot and our contractor will take it from there. No bags please. Ok. I appreciate your answering my question. I hope the contractor provides better notice on the next pickup. Thank you. We’ll do our best to get earlier notice but being that the contractor is only responsible for gathering leaves from common areas and not from our personal properties they are doing this as a favor so we can’t really push them on this. Thanks for understanding. Totally understand. How come our waste management company doesn’t pick up leaves if they are bagged? When we lived in North Reston, CSI would always pick them up at our curbs. Seems like we should be looking at getting a better service for our waste management needs. American Disposal will pick up your bagged leaves if you place them at the curb for our normal trash pick up. We give residents the option of raking/blowing leaves into the parking lot for pick up by Sunrise when they do our common area leaf removal because most people find it easier than bagging them. But feel free to bag them if your prefer.